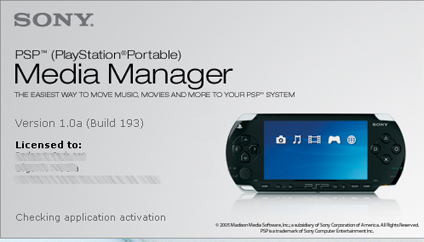 I have a love-hate relationship with Sony, but I have to admit, their media management software for the PSP is great. We push a lot of media to the PSP – presentations, video clips, podcasts etc. It is hands down the best multi-media presentation tool for one-on-ones. And while there are some free tools out there to help re-code the files and manage Sony’s bizarre file naming system, they require way too much work and way too much time and trouble shooting. I’d tried an early version of Sony’s software to mixed results, but this latest version is awesome. It works, and works fast. No more running 2 or more applications to handle re-coding and moving and file names. One interface – drag, drop and go. It’s really fast on the re-coding side and will do batch files, two things that are critical. In typical Sony fashion, the software is impossible to find on the Sony consumer site. You’ll find it here on the Sony media software site.